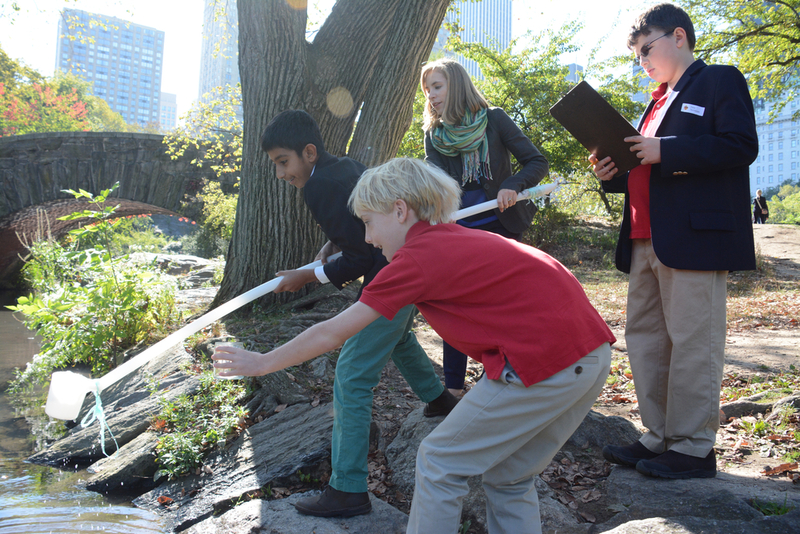 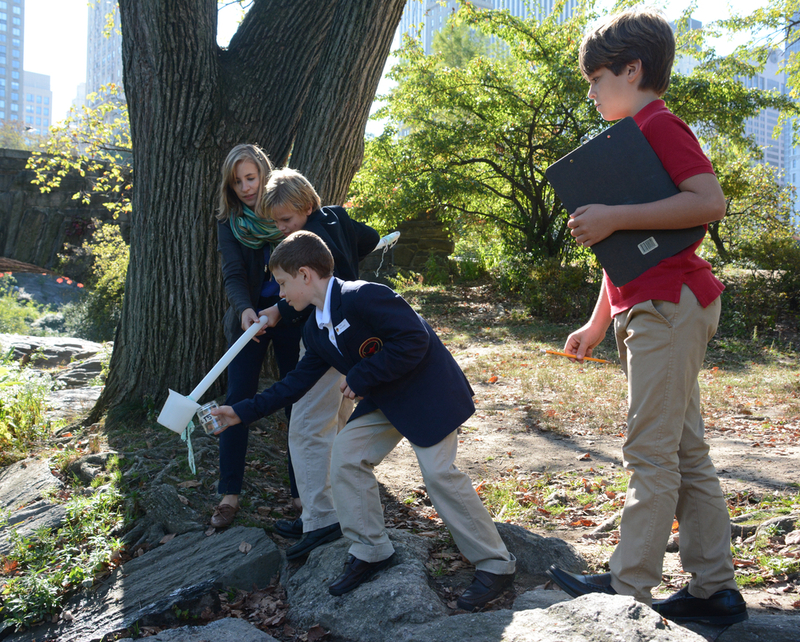 Fourth grade Browning boys, along with science teacher Emilie Wolf, took a field trip to Central Park recently to collect water samples from the pond. 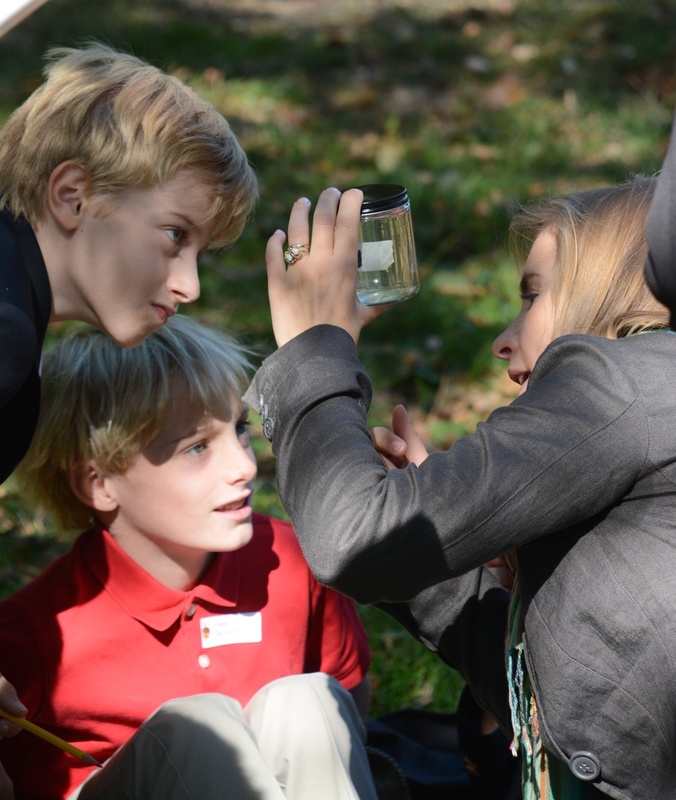 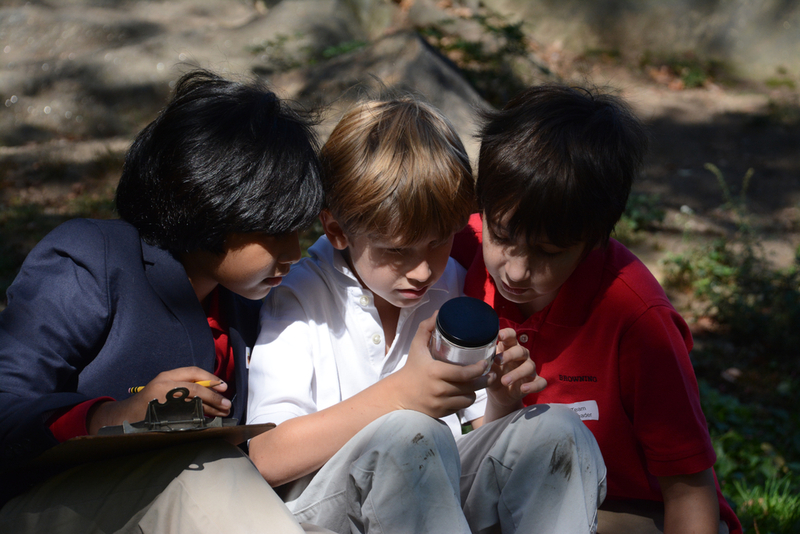 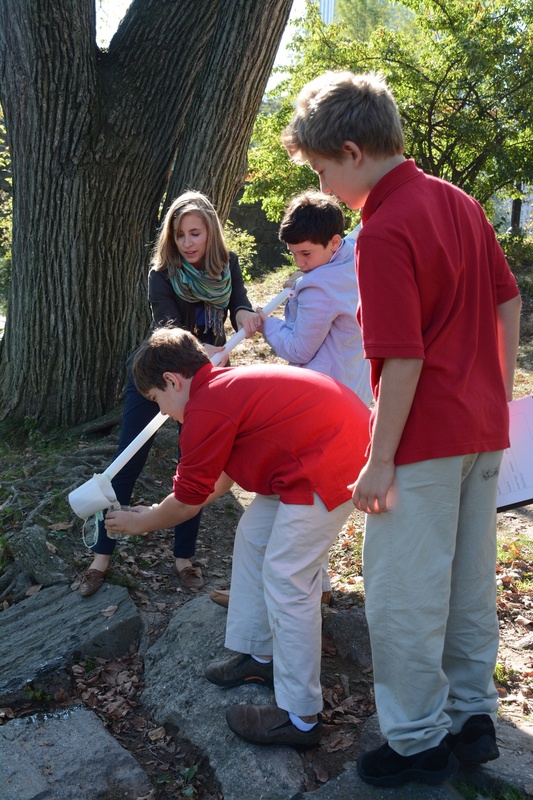 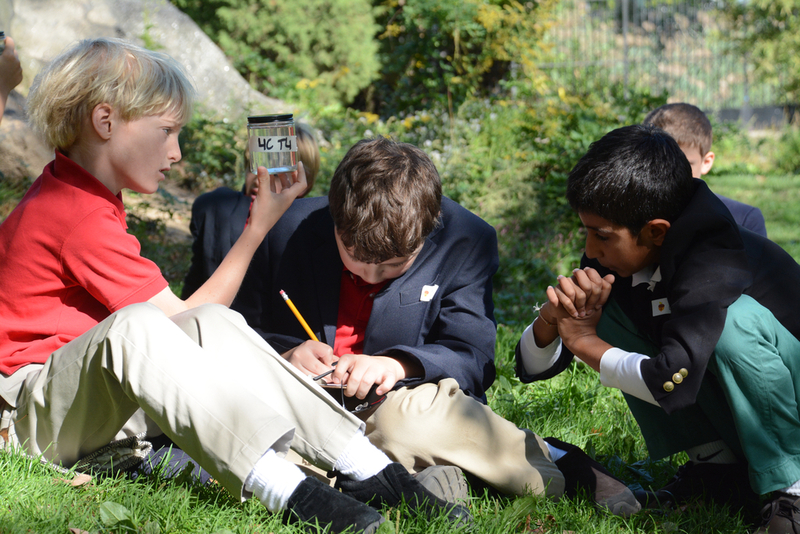 Ms. Wolf explained, "The boys will continue their experiment back in the lab, where they will use compound microscopes to determine the nature of the invisible organisms that live in pond water." 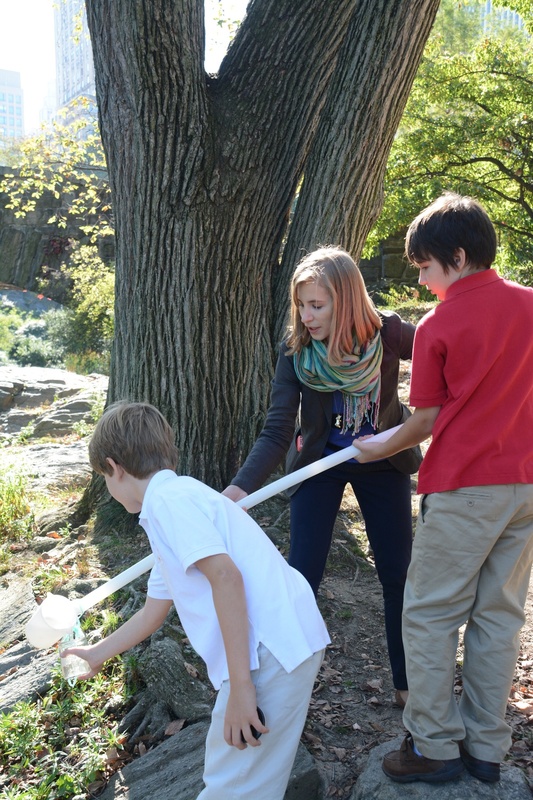 Science teacher Julia Kingsdale also took the Pre-Primary boys to Central Park. 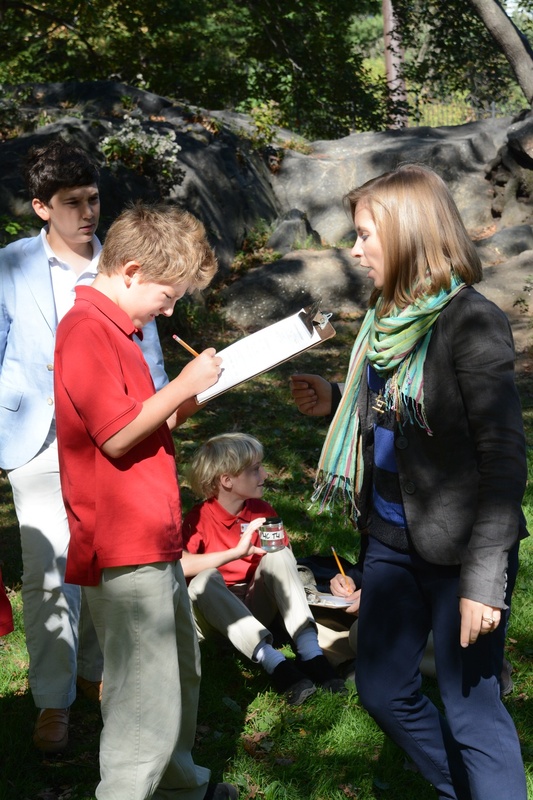 As she explained, the purpose of their trip was "to collect information 'in the field' for their study of trees. 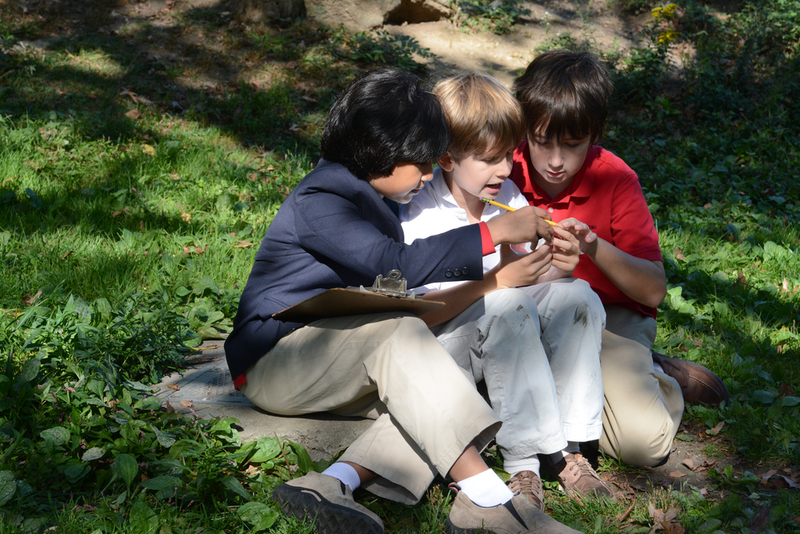 She added, "We gathered leaf and bark rubbings and estimated the age of a tree by measuring its circumference."